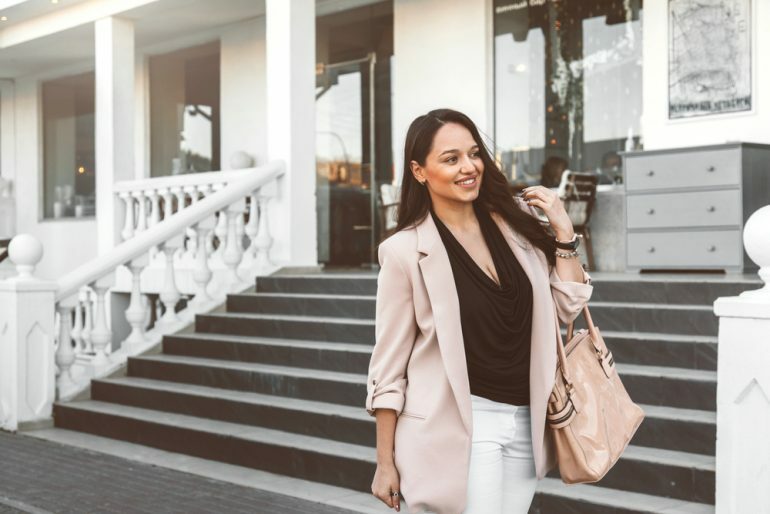 Blazers are possibly the item of clothing that can’t be missing from your closet right now: classy, elegant and extremely cool, blazers were among the most frequently photographed clothes in the street style outfits of all fashion weeks. Whether you wear it with coordinated tailored pants, with jeans, with a midi skirt or with a long dress… It’s pretty clear you just can’t forget it at home! Did you know that blazers have superpowers? They allow you to be whoever you like, without ever going wrong. If you want to be formal, if you want to be feminine, if you want to have a more masculine figure or just keep an easy style, this is the item that will always work. Our favorite way to wear it is in the most boyish way possible: it can’t get cooler than that! If you think it’s too late to get a blazer, stop worrying about it: if you don’t wear it this month, with layers and a few accessories, you’ll still be able to wear it underneath your coat from November on. And if you need any extra tips, we can already tell you that blazers will still be trendy next summer, so don’t drop yours right when the colds season ends! Just get rid of a few layers, and there you go: blazers are your new evergreen! Don’t miss out on our blazer jacket that has just been reduced in price in our mid-season sale! This is a bargain and just before the Autumn weather really starts to kick in. Your buyers will be amazed at the price and would be crazy not to buy it for your retail store. We always try to look after our customers at Zuppe so this is a special mid-season treat from us to you. Enjoy! Next articleFREEZING? CHECK! STILL STYLISH? CHECK!